"Got to Get You into My Life" is a song by the Beatles, first released in 1966 on the album Revolver. It was written by Paul McCartney, though officially credited to Lennon–McCartney. The song is a soulful Motown homage with colourful brass instrumentation, and lyrics that suggest a psychedelic experience. A cover version by Cliff Bennett and the Rebel Rousers peaked at number six in 1966 in the UK. The Beatles' version was released in the United States as a single from the Rock 'n' Roll Music compilation album in 1976, a decade after its initial release and six years after the Beatles split up. It reached number seven on the Billboard Hot 100 chart, the Beatles' last top ten US hit until their 1995 release "Free as a Bird". In Barry Miles' 1997 book Paul McCartney: Many Years from Now, McCartney disclosed that the song was about marijuana. "'Got to Get You into My Life' was one I wrote when I had first been introduced to pot ... So [it's] really a song about that, it's not to a person." Many lyrics from the song suggest this: "I took a ride, I didn't know what I would find there / Another road where maybe I could see some other kind of mind there. ",'"What can I do? What can I be? When I'm with you, I want to stay there / If I am true, I will never leave and if I do, I'll know the way there." "It's actually an ode to pot," McCartney explained, "like someone else might write an ode to chocolate or a good claret." Earth, Wind & Fire covered the song for the 1978 Sgt. Pepper's Lonely Hearts Club Band soundtrack. They released it as a single and included it on their album The Best of Earth, Wind & Fire, Vol. 1. Their version reached number 1 on the Soul singles chart and number nine on the Hot 100 singles chart. 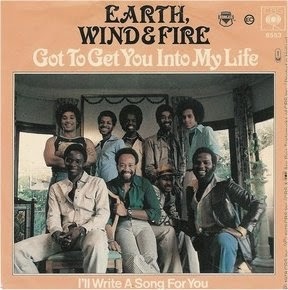 "Got to Get You into My Life" has been covered by several other bands, but the most notable version is from Earth, Wind & Fire.